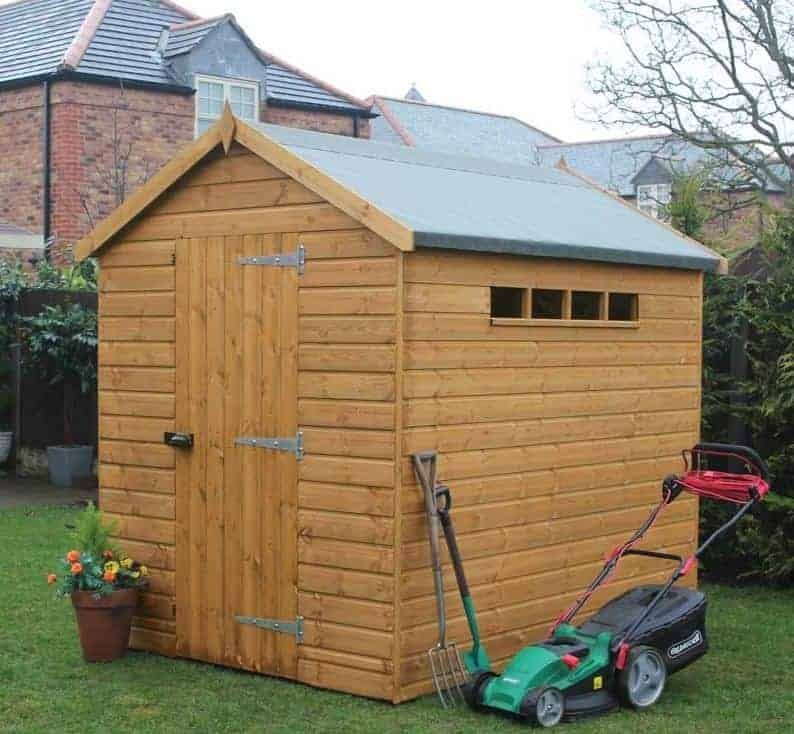 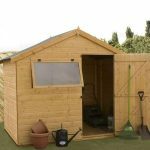 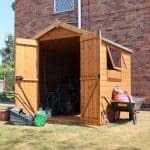 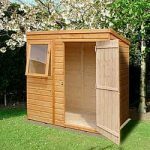 This 12 x 8 security shed benefits from added security aspects that make it a clear choice if you have tools and equipment that you want to keep safe and secure. 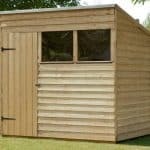 The shed has four small windows that let in a surprisingly large amount of light. 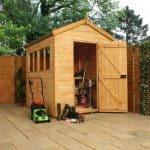 But more importantly, they prevent people from seeing inside the building, and therefore add to the security of the construction. 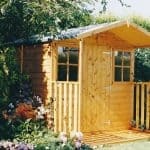 Other elements include the tongue and groove cladding, which is very important when it comes to protecting the building against damp and rot.